The terms and conditions for use of the Mappin & Webb website are detailed below and should be read carefully. We may vary these terms from time to time and therefore you should check them before you make a new purchase. In addition, in the interests of preventing fraudulent use of credit, debit and charge cards, will validate the names, addresses and other information supplied during the order process against commercially available records (e.g Electoral Roll data, Credit Reference Services). A third party may also be instructed to complete these checks. By ordering from the Mappinandwebb.com website you consent to such checks being made. We may need to contact you by letter, telephone or email to verify details before we are able to process and dispatch your order, or we may be unable to accept your order. Any information given may be disclosed to a registered Credit Reference Agency which may keep a record of the information. Our gift cards have no expiry date and can be used repeatedly. Only one gift card can be used per transaction. The card is not valid in conjunction with any other promotional offer. Normal terms and conditions for using Mappinandwebb.com apply except when they conflict with these terms and conditions. At Mappin & Webb we are proud of our reputation as suppliers of quality jewellery of the highest calibre. The diamond purchase detailed on the certificate is guaranteed against flaws in workmanship, for a period of ten years from the date of purchase. We recommend an annual inspection be undertaken at any Mappin & Webb showroom during the lifetime of the guarantee. Alternatively you can email us. You will need to include a copy of the guarantee and receipt. Mappin & Webb will then implement full remedial work at no expense to you. The guarantee does not cover loss or damage caused by accident, misuse, neglect or normal wear and tear. The guarantee does not cover products within the Fope collections. Neither does the guarantee cover any watches. This does not affect your statutory rights. The guarantee is not transferable and does not affect your statutory rights. For further information please email us or phone our customer experience team on freephone 0800 111 4524. Our lines are open Monday to Friday, 8:30am - 6pm. If any items in your order prove to be faulty, please return the items to Mappin & Webb with a copy of the delivery note, call the Mappin & Webb customer experience team to obtain a returns number and also indicate whether you would like to receive a refund (including delivery costs) or an exchange. 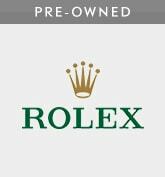 Refunds can be requested on purchases made in our showrooms within 14 days of purchase. For online orders, a refund can be requested within 14 days of despatch. 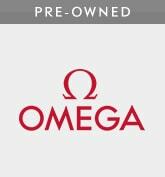 An exchange can be requested on purchases made in our showrooms within 30 days of purchase. For online orders, an exchange can be requested within 30 days of despatch (online orders). Certain exclusions apply see paragraph below. Please contact Mappin & Webb customer experience team to obtain a returns number, include the reason the product has been returned and indicate whether you would like to receive a refund (excluding your original delivery charge) or an exchange. Except in relation to faulty or incorrectly supplied goods, where your statutory rights are unaffected, personalised goods made to a customer's specifications may not be returned. When your item is a special ordered large item, we do not keep stock of this item and we will raise an order through a supplier direct to you. In such cases you may not be able to return your goods if they are unwanted, however if you experience problems with your goods or order then please contact the Mappin & Webb customer experience team. For further details on returning your purchase to a Mappin & Webb store, please refer to the reverse of your delivery note. In all cases you must obtain a returns number by contacting the Mappin & Webb customer experience team., this will ensure we can track all parts of the returns process. 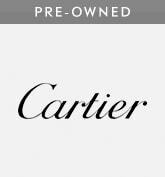 Mappin & Webb does not accept returns from the website to our Outlet showrooms or to our Airport stores. This does not affect your statutory rights. Under the Consumer Contracts Regulations, you have the right to cancel your order with us at any time within 7 days of receiving your goods. In the event we are unable to deliver your order within our standard delivery timescales you are entitled to cancel your order with no penalty. Should you cancel the contract we will then refund you the price you have paid for the goods, this will not include delivery charge if you have cancelled after your order has been dispatched, also not a service provided by us, such as a special delivery service. You are under a duty to take reasonable care of the goods, which means the goods must be unused. Please contact our Customer Service Team should you wish to cancel your order. Even though packages are sent via secure insured courier service on rare occasions we do experience losses whilst in transit. If this occurs please allow 10 days for the package to arrive from the date of despatch. Please be aware that if we are not contacted within 30 days, an insurance claim cannot be made and thus the customer will be unable to claim any loss from Mappin & Webb. For all UK orders, placed before midday we will attempt to deliver your order within 3 working days. Large items may take up to a further 60 working hours to deliver. Where it is not possible to meet these timescales, we will notify you and advise you of an anticipated delivery date. The Watches of Switzerland Company Limited and its subsidiaries are the owners of the copyright of this site and all materials on this site including content, design, text, graphics and photographs. You may download and print content from this site for media related purposes or for your own personal use only. This is subject to the material being reproduced accurately and not being used in a derogatory manner or in a misleading context. Where this material is reproduced, published, broadcast or otherwise issued to others the source and copyright status must be acknowledged. 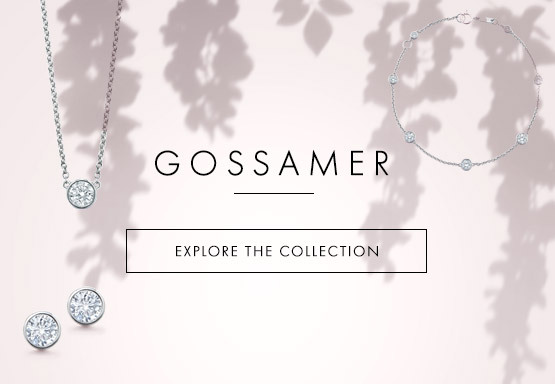 The permission to reproduce Mappin & Webb press releases does not extend to any material on this website which is identified as being the copyright of a third party. No right, title or interest in any downloaded materials or software is transferred to you by such downloading. You may not make any other use of material on this site (including reproductions, publication, alteration, distribution, broadcast or any other exploitation except as above) without our written permission. This site is provided on an "as is" basis without making any warranties or representations of any kind with respect to this site or its contents and TheWatches of Switzerland Company Limited disclaims all such representations or warranties. In addition the Watches of Switzerland Company Limited makes no representations or warranties about the accuracy or completeness of the information contained on this site. These disclaimers do not exclude the Watches of Switzerland Company Limited liability for matters which may not be excluded under any applicable national law. Neither the Watches of Switzerland Company Limited nor any of its directors, employees or agents will be liable for damages arising out of or in connection with the use of this site. This is a comprehensive limitation of liability that applies to all damages of any kind, including (without limitation) compensatory, direct, indirect or consequential damages, loss of data, income or profit, loss or damage to property and claims of third parties. The Watches of Switzerland Company Limited does not exclude any liability for death or personal injury resulting from its negligence or the negligence of its directors, employees or agents. The Watches of Switzerland Company Limited cannot be responsible for any losses you may incur in transmitting information to us by internet link or by e-mail. Any such loss shall not be borne either wholly or partly by us, and shall be entirely your responsibility. Spend £1,500 or over on one full price eternity ring and receive a sterling silver sonnet bracelet free (bespoke eternity rings included). One sterling silver sonnet bracelet per transaction (article number 37690155), whilst stocks last and are subject to availability. Should the eternity ring be returned the sterling silver sonnet bracelet must also be returned at the same time. Offer valid from 30th July 2018 for a limited time only. Mappin & Webb reserves the right to withdraw this offer at any time. Offer cannot be used in conjunction with any other promotion, promotion code, or discount, Claims Service Cards or Insurance Cards. This Gift with Purchase offer is available on IFC up to 24 months. The gift with purchase is limited to one Candle per transaction. The gift with purchase is limited to one watch pouch per Montblanc Time Walker purchase. There is no cash alternative for this gift. 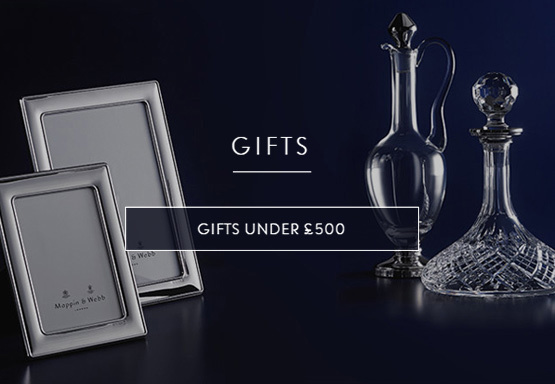 Mappin and Webb and Goldsmiths reserves the right to withdraw this offer at any time. Offer available at all Mappin and Webb and Goldsmiths showrooms that are Roberto Coin stockists. Refund of original qualifying purchases is available within our normal Refund terms and conditions. If a refund is requested, the Candle would need to be returned for a refund. Gift with purchase Candle will need to be returned along with the original qualifying purchase ordered when returning for a refund. This offer does not affect your statutory rights qualifying purchases ordered when returning for a refund. This offer is valid from Monday 29nd October 2018 til stocks last. This offer applies to the whole of the Fope range. The gift with purchase is limited to one Scarf per transaction. There is not cash alternative for this gift. Offer available at all Mappin and Webb and Goldsmiths showrooms that are Fope stockists. If a refund is requested, the Scarf would need to be returned for a refund. Gift with purchase Scarf will need to be returned along with the original qualifying purchase ordered when returning for a refund. This offer is valid from Monday 22nd October 2018 til stocks last. This offer applies to the whole of the Birks range. The gift with purchase is limited to one Pendant per transaction. Offer available at all Mappin and Webb and Goldsmiths showrooms that are Birks stockists. If a refund is requested, Gift with purchase pendant will need to be returned along with the original qualifying purchase ordered when returning for a refund.